India vs Netherlands, Hockey World Cup 2018 quarter-final highlights: Mink Van Der Weerden scored in the dying minutes of the game to extend India's wait for a semi-final spot. India vs Netherlands, Hockey World Cup 2018 quarter-final highlights: India matched Netherlands for much of the match but the away side benefitted from the number of Penalty Corners they were able to provoke. It was one such PC that led to their second goal of the match. India got into the lead in the first half through Akashdeep Singh but that lasted just under five minutes with Thierry Brinkman scoring with seconds left for the end of the 1st quarter. Netherlands have reached their 10th World Cup semi-final. India’s 43-year-wait for a top-four finish continues. India had drawn one match in the group stage and with this loss, they fall behind Germany on total points. THe Indian players are in tears, those of the fans who have stayed behind applaud them. The Dutch fans who were the only ones cheering at the final hooter, have morose expressions, almost as if they feel guilty of their actions. THE HOOTER GOES OFF! 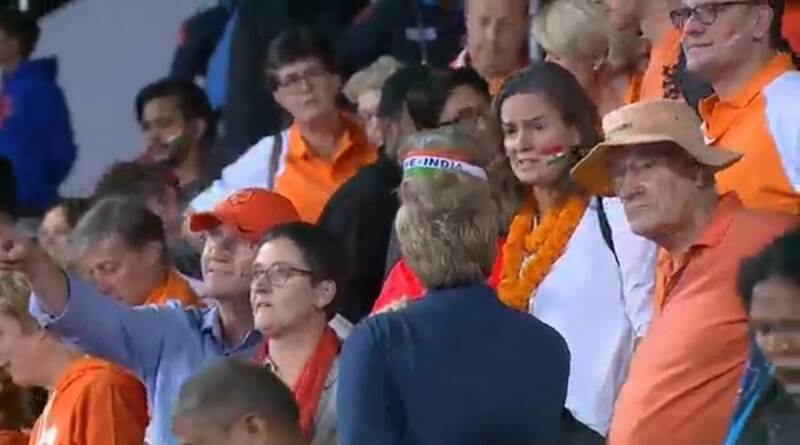 Netherlands have beaten India 2-1. India's wait for a top four finish in the World Cup continues. This is the 10th time the Dutch have made it into the semi-finals. Unbelievable stuff from the home side, Netherlands appeal for another PC but that referral is turned down. It looked like India might have won one but their referral is unsucesfull. 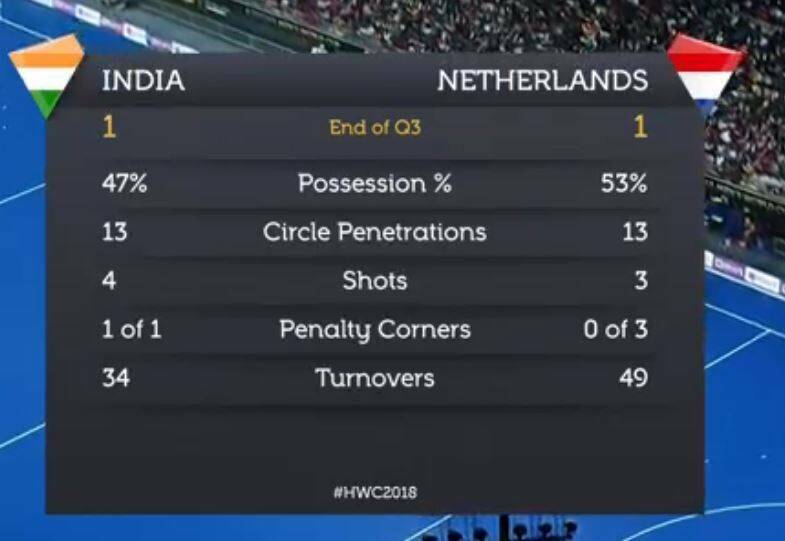 Netherlands then win a PC, India don't have a goalkeeper, 3 mins left in Q4. Harmanpreet wears the yellow shirt. India playing without a goalkeeper. We may have seen Sreejesh making his last appearance for India in at least this edition of the World Cup. Harmanpreet gets two shots, the second off the rebound but the Netherlands defend that and then pour forward. The move doesn't result in a goal though. Chinglensana fouled in the D and India get a PC. Now then. Now. Then. India down to 10 men. Amit Rohidas is out for the rest of the game because of a cynical challenge. 7 mins left. Fourth PC of the match does the trick for the Dutch! Van Der Weerden hit it dead straight, Sreejesh wrong footed and the ball found the target. Ball send in from the left, Neelakantha foot comes in the way and the ball is deflected to Mandeep on the goalmouth. Free hit, Netherlands. That also turns out to be the final act of the quarter. India try to counter but lose the ball rather cheapy, the ball goes back to the Indian half where Brinkman is fouled, nothing comes from the free hit. India temporarily down to 10 men with 3 mins left in the third quarter. A nasty tackle that was a reaction to losing the ball. But it is all looking a little ugly now. The game is not flowing as freely as it did in the first half and a number of fouls accross the park. 8 mins left in Q3. Rohidas with a ball in from midfield towards goal, Dutch keeper Blaak blocks it, don't know if there was a touch from Akashdeep on it or not. But that comes to nothing. India manage to block it effectively. Once again, the two teams cancel each other out. Rohidas was the man who put the block in for Verga's drag flick. The coach reckons that India need to control their emotions. "There are a lot of space we are getting in the back. The boys have to control the ball slightly better I think they are in a bit of a hurry so they have to control their emotions." As pulsating a match as was expected. It is only fair that the first half ends all square. The second quarter was a game of chess between the two sides. No goals but a whole lot of attacks and counter-attacks. Akashdeep Singh scored in the 12th minute for India and Thierry Brinkmann equalised three seconds before the end of the 1st quarter. Remember, the team that wins this match meets Australia in the semi-final. Manpreet tries to catch out the Dutch defence by taking a free hit quickly, running diagonally and sending the ball in through the centre, Akashdeep just about gets a touch in but the Dutch keeper is upto the task. Brinkmann trying to make his way along the right byline, Lalit with THE perfect tackle to dispossess him. The match has slowed down a bit compared to the frantic mayhem of the 1st quarter, Netherlands with more possession. Hardik with a run down the right, Lalit waiting inside the box. Hardik plays it square but the Dutch manage to block it away. They have. Brinkmann managed to get a touch on the ball that was lazered in from outside the box. The Dutch have pulled back in the last seconds of the quarter. And it looks like the Dutch have scored. Or at least Thierry Brinkman thinks so, umpire goes upstairs. Penalty corner for India, drag flick by Harmanpreet is blocked, Akashdeep scores on the rebound, India ahead. Simranjeet Singh swivels his way into space and tries to take a shot, blocked away in the last second. India gaining momentum. The Dutch enter the D through the middle, Hertzberger receives the ball, left side of goal, tries to a shot on the back hand, it is off target. Chances have been at a premium in this first quarter with both sides getting periods of possession so far. The defences have helped the team cancel each other out. The Dutch start the match. Here we go then! No dearth of drama here with some dramatic productions being run by Star; the words '43 YEARS' being given some extra emphasis. Meanwhile, in the stadium, jingoism is the call of the day it seems. These are the teams that will be playing today. Dancing to 'Chak De! India' before a big hockey match is something that you would expect every Dutchman to do. Right? No? Well yes, in this man's case. The last time India reached the semis was also the last time they won the World Cup. There were no quarterfinals at the time and India, being winners of Pool B, reached the semifinals directly. Ajit Pal Singh and co. beat hosts Malaysia to progress to the final where they beat Pakistan 2-1. Australia and Germany may have won all the pots and pans in the last decade but anyone who knows hockey would tell you that no other country romanticizes the sport quite like India or the Netherlands. But the word 'disappointment' has held different meanings for the two sides in this time period. For the Netherlands, a World Cup semi-final spot is no new thing and success means nothing less than winning the trophy. India, on the other hand, will be celebrating a first semi-final spot since 1975 if they win this match. The team news should be arriving in a short while, meanwhile, we have a ton of stuff that you would love to read. Start with this one where Mihir Vasavda talks about how "two-and-a-half Dutchmen" gave the Indian hockey team structure, among other topics. India vs Netherlands, Hockey World Cup 2018 quarter-final highlights: India began their campaign by defeating South Africa 5-0 before drawing 2-2 with tournament favourites Belgium. They then gave another confident performance to defeat Canada 5-1 in their final pool match to emerge at the top and gain direct entry into quarterfinals. Netherlands, too, started in roaring fashion with a 7-0 smashing of Malaysia but their quest to possibly top the pool was denied by Germany who won 4-1. In the final group game, Netherlands came out 5-1 victorious over Pakistan. Needed to play the crossover, Netherlands dispatched Canada 5-0 to make it forward. 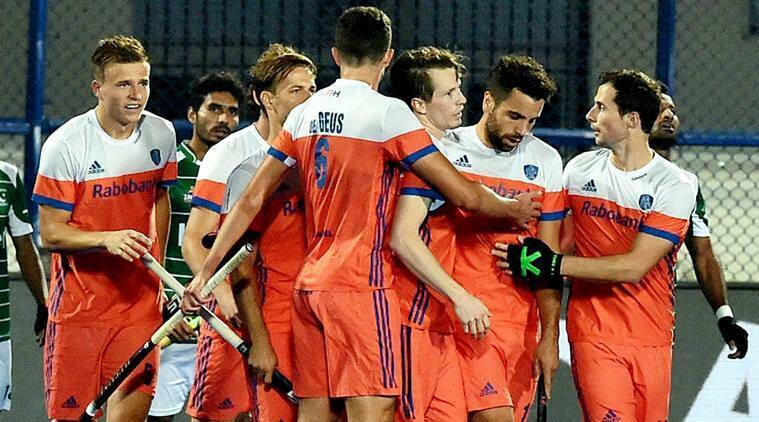 3 Hockey World Cup 2018 Quarterfinal, India vs Netherlands Hockey Live Score Streaming: When and where to watch India vs Netherlands hockey live?